August. 26-29. I'll shoot a short film. A western. Kind of. It's going to be quite ambitious, but I like the challenge. Sometimes things just happen. Sometimes some links in your mind that weren't there before just, well, link to each other. Back in 2001, a year after the end of my military service, I finished my screen writing course at a local institute. I don't believe in proper film schools, but I must admit they are an invaluable place to meet people with the same passion that can help you in the future (ehm... after I left the school, I didn't keep any of these invaluable contacts, anyway!). So I joined my forces with my colleague/friend and we shot, in a long and cold weekend in the middle of march 2001, a short movie called "e' Bianca la notte - Don't play this game with my soul". Everything was well organized - planning is the basic of almost everything - and the filming went smoothly, but the stress to keep everyone happy (all but the dop were working for free) made me realize that I'd rather write the scripts and give them to someone else. And that's exactly what happened in the next years, even if probably just 2 or 3 scripts were actually shot and maybe only one completed. Never ever seen it. But I shortly started missing the feeling about trying to have everything in control. It was good, and it was right. In the meanwhile I moved to London, and, while enjoying a career in IT and in football, I started filming events, parties, and whatever else I could get to keep myself in shape (filming speaking). For a while I was collecting information and experiences about how to do stuff. I'm still crap at lighting and catering, though. But I had a short story in my mind, and I wanted to involve my dad. 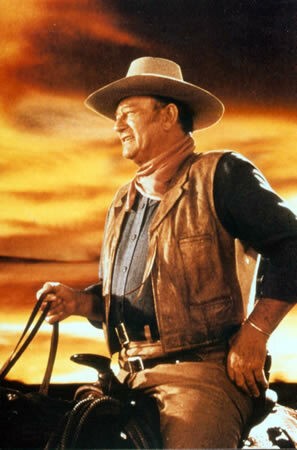 He always liked the old western movie (more the John Wayne's than Leone's), and one of my wishes before it's too late, was too let him be part of a western. So, I wrote down some ideas, and, thanks to some evenings spent with the company of Sergio Leone's DVDs, I had a story. Then, I had to stop everything because of work, sport and well, girls. I couldn't squeeze anything more in my life without excluding part of it. 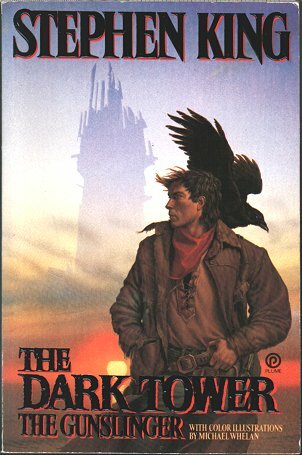 Few months later, thanks to the release of the book "the Wolves of the Calla", part of the King's Dark Tower series of book, I bought all the previous books. I read them in Italian maybe more than 6-7 years ago (I remember writing an Essay about the first book at school, at 16...) and, suddenly, I realized how much I loved those books. In English they sounded even better than I remembered! How could have I forget that Roland of Gilead was one of my favorite characters ever? So I had everything back. My passion for something I really enjoyed, my western dreams and my eager for writing, directing and producing another personal project. The first release of the script I wrote before the Beams came back to me, was called "Meet me at Sourwater. And bring Death along". I never really liked that title, but I thought that I will find one better while shooting, or editing. But titles are powerful things. You don't control them. They control you. They come, and you have to catch them. And if you get hold of a title, then keep it. It will help you. The game they play. That's the title. You may dislike it, but it feels right in my mind. It is right.